We named our Big Boom Straight Bourbon Whiskey from the neighboring dynamite blasts that sometimes rock our cave, but it very easily could have been for the huge, explosive flavor.After nearly three years in American white oak barrels, Big Boom bursts with spice, fresh oak and soft corn notes, all underscored by a rich layer of caramel. This rye whiskey has a mash bill of 2/3 rye and 1/3 malt. Since the cave maintains an ambient temperature of 72 degrees, this allows for a consistent process during mash-in, fermentation, distillation and barrel aging. Each bottle is hand numbered along with barrel number designation. We start with our award-winning Pillar 136 Gin and age it in our S.D. 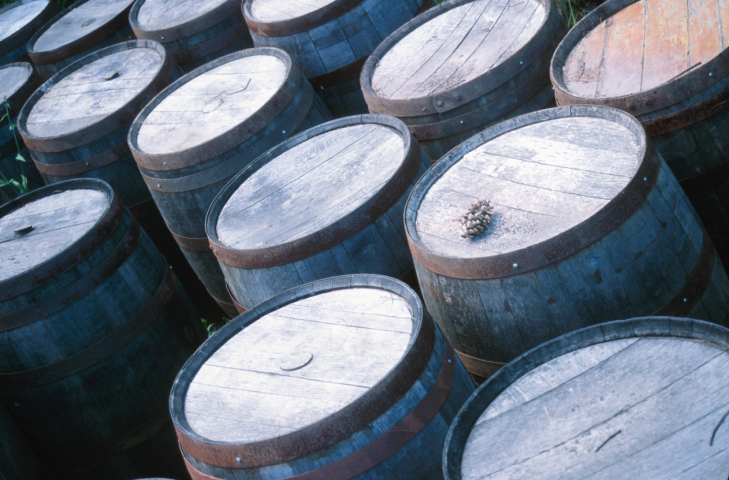 Strong Straight Rye Whiskey barrels for a minimum of six months. Each bottle is cordially hand numbered.